I was talking with someone the other day about different kinds of cool airplanes. 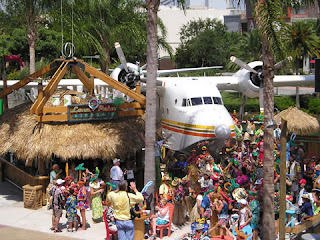 This was partially in reference to Jimmy Buffett's planes, since he certainly has/had a bunch of them. The first is Jimmy's Grumman Albatross, the Hemisphere Dancer. I am shocked to say that I have not been to Margaritaville Orlando before, where the Albatross is located at the Lone Palm Airport. Below is a picture of it in it's current location. I think it is a must for me to make a trip to Orlando to see this the next time that I am near Orlando. This is the plane that he writes about flying on his trip in A Pirate Looks at Fifty. Another cool plane that I found is not actually a plane anymore, but rather a boat. 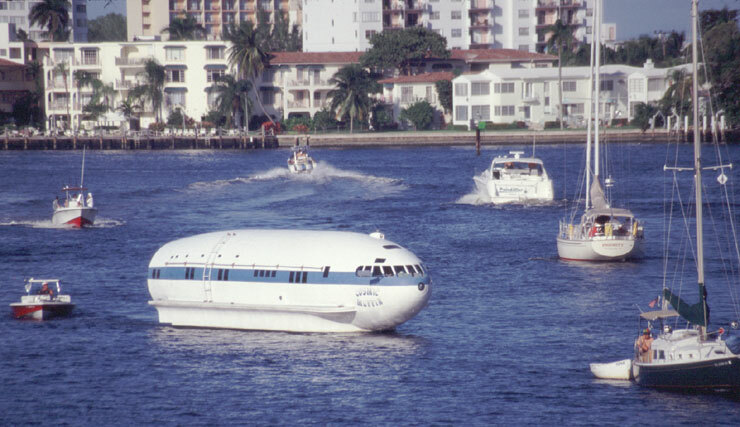 It started life as the first pressurized cabin plane, owned by Howard Hughes, but has been transformed into a boat. It is currently located at a dock near you in Ft. Lauderdale. It can be rented out for events also! Jimmy saw the boat while he was cruising around Lauderdale and wrote it into his first novel, Where is Joe Merchant and also a song from his album Banana Wind. Here is a picture of the boat in its current state. One of these days I would love to have a cool plane like one of these. Or is it a cool boat like one of these? I guess its both! 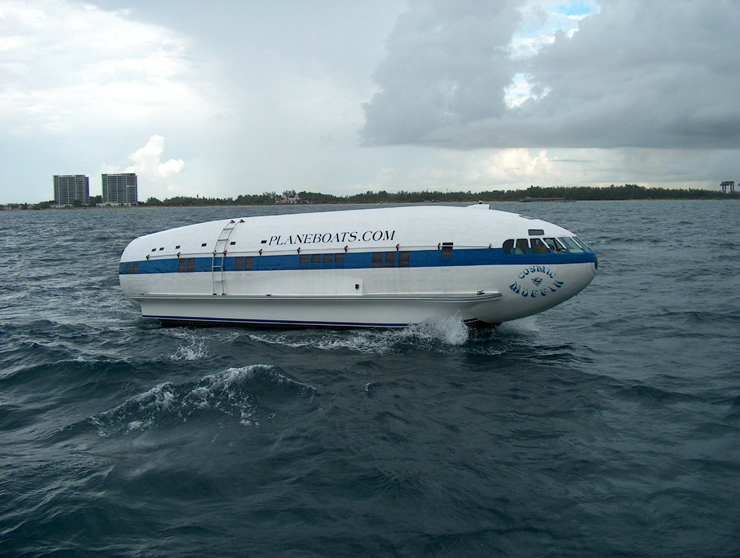 If you guys know of any other cool planes or boats, let me know! I hope it was my page that inspired these pictures. If it was, let me know. I had started a post about the plane in orlando, and then I saw your post, so I added to mine!